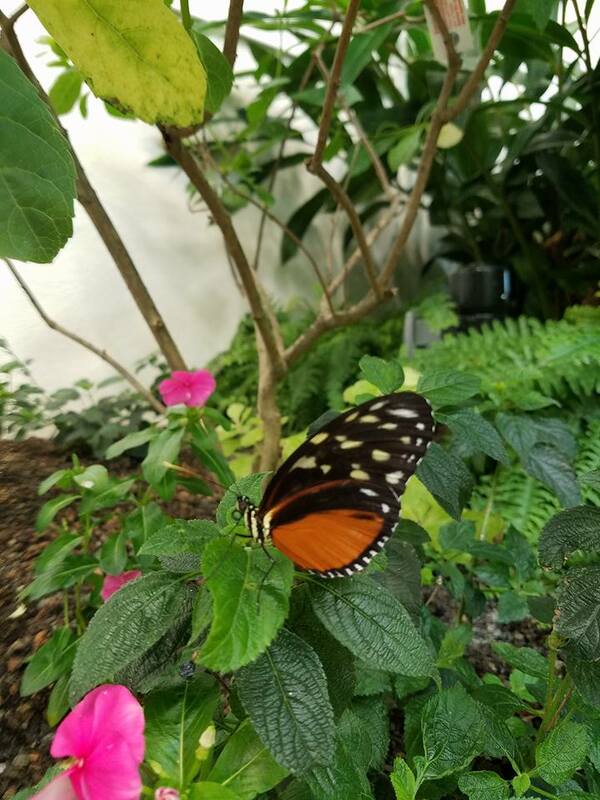 The Butterfly Atrium at Hershey Gardens is one of only twenty-five indoor butterfly atriums in the entire country. It's fun, educational and truly beautiful to see. 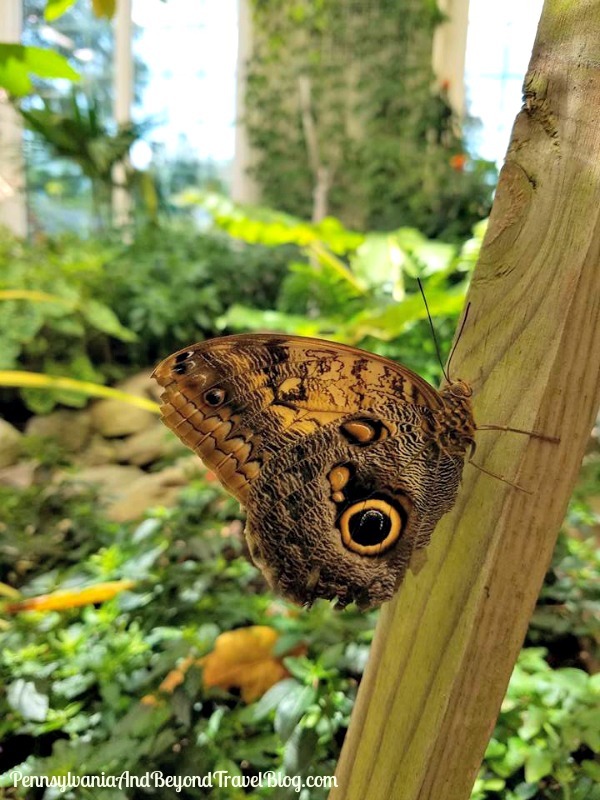 Since it's indoors, it's open year-round for family fun and houses dozens of rare and common butterflies from Central America, South America, Asia and Africa. Personally, I've never seen so many butterflies in one particular place, until now! For those of you who are not familiar with the area, you'll find the Butterfly Atrium at Hershey Gardens located on 170 Hotel Road in Hershey Pennsylvania. If you're staying at the Hotel Hershey, it's right down the street and within a short walk. Admission price ranges from $9.00 to $12.50 per person depending on age. Children under the age of 2 are admitted free with a paying adult. The Hershey Gardens offers several different family-friendly attractions all one property. 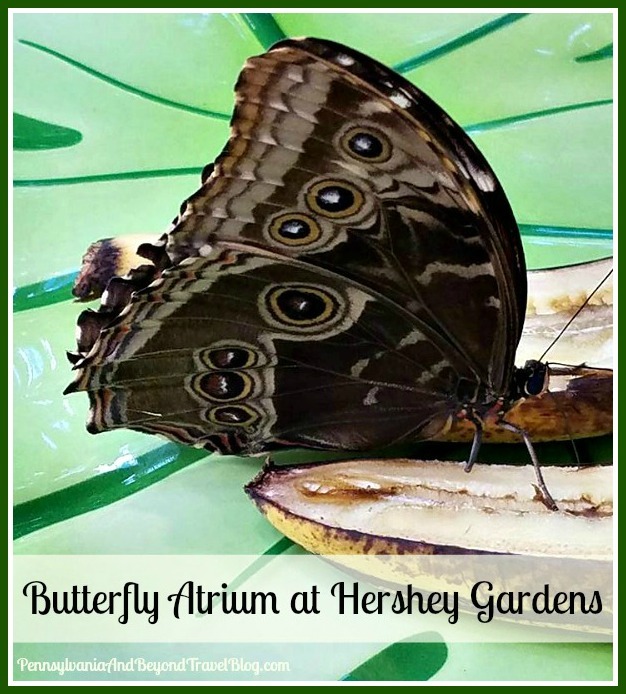 You'll find the Hershey Gardens, the Children's Garden, Theme Gardens, the Butterfly House and more! Once you pay your admission, it's good for all of the attractions on their property. We've been to the Hershey Gardens several times before, but this time around we went to specifically see the new Butterfly Atrium (Butterfly House). We loaded up our two grandchildren into the car and took the short 20 minute drive into Hershey. You'll find free parking located in the parking lot right outside the admission gate. Once inside we strolled along the marked paths to view all of the beautiful blooming flowers, bushes, trees and water fountains. This is a self-guided tour, so you and your family can take your leisurely time. If you get tired of walking, don't worry, you'll find plenty of places to sit down and to relax. 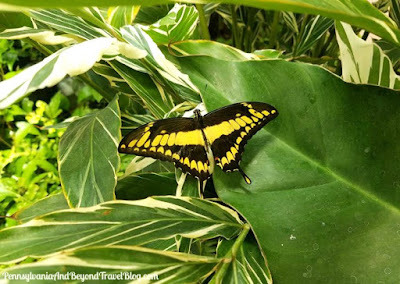 After we were done strolling around the outside gardens, we headed inside to check out the Butterfly Atrium and wow...we weren't disappointed at all. 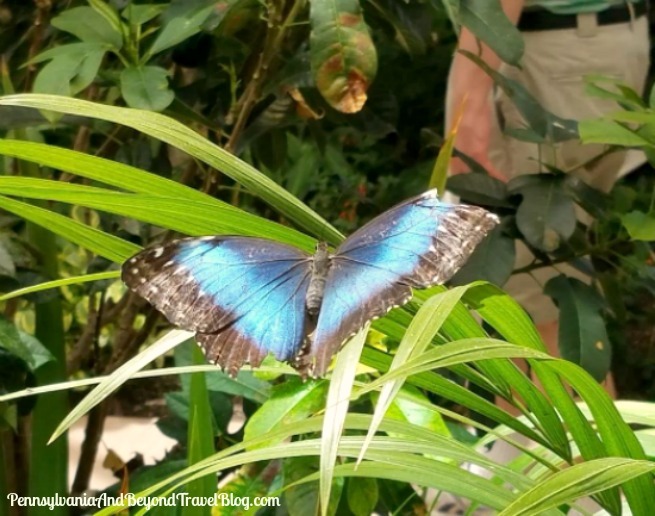 You can walk around and get up close to see the butterflies, but please...DO NOT TOUCH THEM! In addition, you'll want to walk around slowly and please watch where you're walking! They fly around at their leisure and you don't want to harm them or spook them in any way. We were able to get up close many times to view them and I was amazed at how colorful and beautiful they are. In addition, I took two cameras with me and was able to get some really nice shots of the butterflies up close which I'm sharing in my travel feature today. Aren't they gorgeous? Yes they are! You can learn more about the Hershey Gardens and their hours of operation by visiting their website online. While there you can read more about each of the attractions that they offer and if you want to save time, you can purchase your admission tickets online. Note: You can click on each image in this travel feature & blog post. It will open up the image in a new browsing window and in an enlarged size, so that you can see all of the smaller details up close. If you plan on visiting Hershey Pennsylvania, you'll find other reviews and features on things you can see and do during you visit by browsing around our Pennsylvania section here on the travel blog. This Butterfly Atrium sounds marvelous. I would love to experience walking around the paths with different butterflies all around me.